Being a parent means that your kids are the very first things you worry about. Doubly so when it comes to prepping your kids for emergency situations. Our first thoughts in any emergency are for our children; we want them to be healthy, safe, and not scared. That seems like it could be a tall order in the face of a scary emergency. 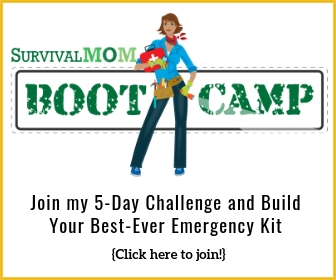 The truth is, having a child can seriously complicate one’s plans for emergency preparedness. Everything is always a lot simpler when you only have to worry about yourself and your spouse, without short people getting under foot. Sometimes, even a trip to the grocery store with kids is a major event. I am sure anyone who has ever had children knows what I’m talking about: “I want that! But WHY can’t we get cookies? Can we get this? I want a treat! But I WANT it! I have to go potty!” And then the four-year-old wanders off and the baby’s diaper leaks. 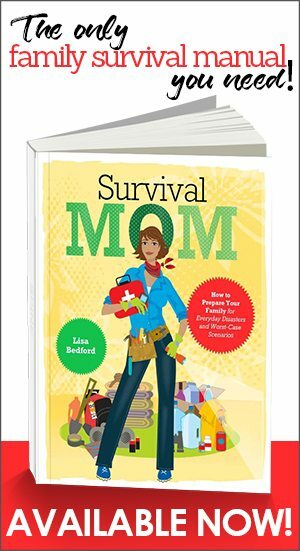 Well, if you have to evacuate or bug out with a young family, multiply that by about thirty times – not because the children are more high-strung, but because YOU, the parent, are so focused on trying to navigate the freeway in traffic that if the kids don’t shut up RIGHT NOW, you’re in danger of running the minivan off the road. This is why it’s so important to make sure everyone in your family is prepared, not just the parents. Involving your children in your plans will make your evacuation a calm (or, at least calmer) and orderly affair. There’s no yelling or screaming, everyone knows what they have to do, the kids have all their stuff (including blankies), and they know how to use everything in their 72 hour kits. In this scenario, children become active participants in the evacuation instead of additional objects to be buckled into the car. First let’s talk about the supplies. What does a kid need? What should you pack? What kind of container/backpack should you use? The choices for a bug-out-bag are many and varied. For most people, the backpack is the container of choice, although it may also be good to consider other, non-traditional options. 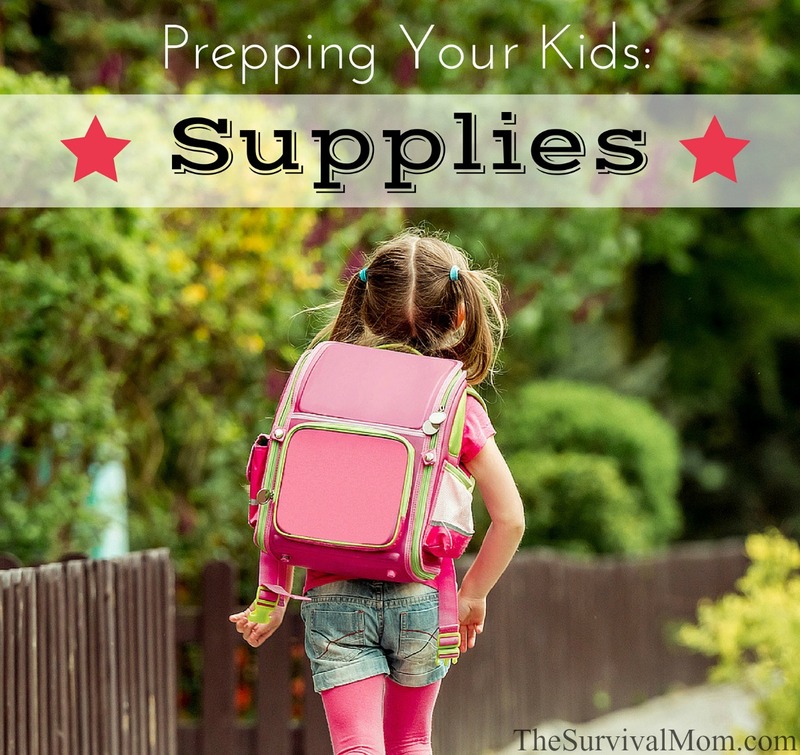 When it comes to prepping your kids, however, I would definitely stick with a backpack. The premise here is that everyone must be able to handle their own bag, and a backpack fits the bill: The weight is carried on the child’s back instead of his or her arms, leaving arms free for balance or for carrying a comfort item. The ideal backpack will be roomy enough to hold a lot of necessary items, but not so big as to be unwieldy. Many backpacks for children are designed to also be clipped around the waist; this is perfect because it transfers some of the weight onto the child’s hips. 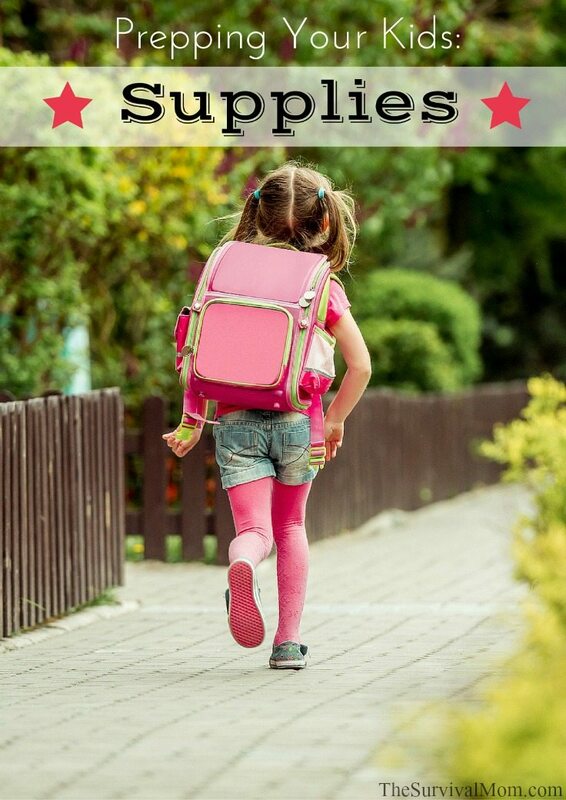 If you have the right backpack, even a 2-year-old can be responsible for his or her own kit. When it comes time to pack your child’s 72-hour kit, DO make your child help you. The goal here is for your child to know exactly what is in his bag, what everything is for, and how to use it. Most lists of stuff to pack includes both heavy and light things. If your child is particularly young, pack their bag with only light things, and put the heavy things in a parent’s bag. For example, a little kid could carry a large amount of ramen noodles, but pack the cooking gear in with Mom’s or Dad’s stuff. This category is especially important for children. Having ways to occupy themselves can help reduce stress and create a sense of normalcy. Happy, non-stressed children means less stress for Mom and Dad. A small coloring book. Dover has an extensive line of small activity and coloring books. These measure about 3″ x 4″, perfect for stowing in a bag. A balloon (not blown up, of course), for when you arrive at your destination and have some down time. I have yet to meet a child under the age of nine who has failed to be entertained by a simple balloon. Blow it up, let it loose, watch it race around the room, repeat. A small story book. If you have an electronic e-reader, load it with books for your child. Project Gutenburg has a huge collection of children’s classics for free download. Lovies/comfort objects/blankies. These often can’t be put in 72-hour kits because they are necessary for every day use. I include them because at my house, they are more precious than gold. If your kid has an emotional attachment to a stuffed animal or blanket, leave it behind at your own peril. A family photo, with your contact information (mom’s cellphone number, etc) written on the back. If you become separated from your child, the photo will serve as identification, showing that your child belongs with you. Diapers/pull-ups. Even if your child is potty trained, very young children can regress during times of upheaval. This is a case where it is better to be safe than sorry. If you think a child may be offended by the tacit accusation this represents, pack them anyway. Put them in your own bag if you have to. As you put together your child’s bug out bag, make it a priority to involve your child in the process. Tell him or her, “This is for your bag and you’re going to be in charge of it.” Give the child some ownership by allowing input when choices must be made, e.g. in the color of the backpack or the flavor of granola bars. When the time comes to rotate and update items in the kits, make it a family activity. Go over each item and make sure your child knows what it is for and where it is stored in the backpack. “Granola bars are in this pocket, crackers are in this one. 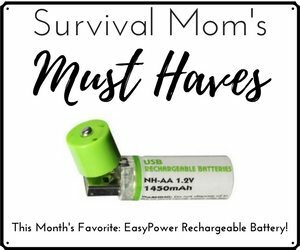 This is your flashlight and this is how you turn it on.” Have your child wear the backpack to check for the fit on their shoulders, and adjust the straps as needed – much better to do this at your leisure now instead of when you have fifteen minutes to leave your home. Resist the temptation to over-pack a backpack intended for a child. A child younger than 6 can’t be expected to carry very much, probably just a change of clothes, some crayons, and a few snacks. Hopefully this will give you a starting point for putting together a child-specific 72-hour kit. 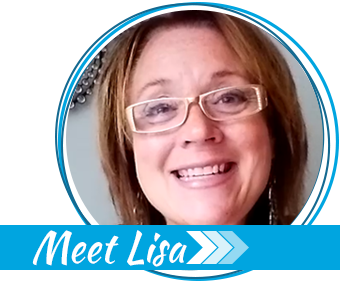 Part Two of this series will focus on empowering children with necessary information. I’d always had emergency supplies stashed at home and in the car, but it took 9/11 for me to make packs for the kids. At 9 and 10, they were old enough to understand when I explained the purpose of their packs, even though they didn’t fully comprehend the “why.” I’d found 75% wool throws on sale at a local store that were the perfect size for a child. I wrapped them in garbage bags and attached them to castoff school backpacks. Inside was a change of clothes, extra socks, rain poncho, flashlight, herbal tea, instant oatmeal, and ramen noodles. Because they were both in Scouts, I added their mess kits, a pocket knife, and gave the oldest 2 Bic lighters, a candle, and a small rope. I also stuck a small stuffed animal in each bag. They weren’t my ideal, but I used what we had on hand. We lived way out in the country at the time, so the kids were used to both being home alone at times and traveling through the woods to get to relatives’ homes. Trying to explain terrorism to children growing up in a no-crime community was difficult, but they understood that the bags were only to be used in case of a severe emergency if they found themselves home alone and had to leave. What I stressed the most was that they had to stick together no matter what. The drills we did back then came in handy when my marriage ended and their father’s mental health deteriorated. All these years later, the “kids” are now in charge of their own packs and willingly update them on their own. 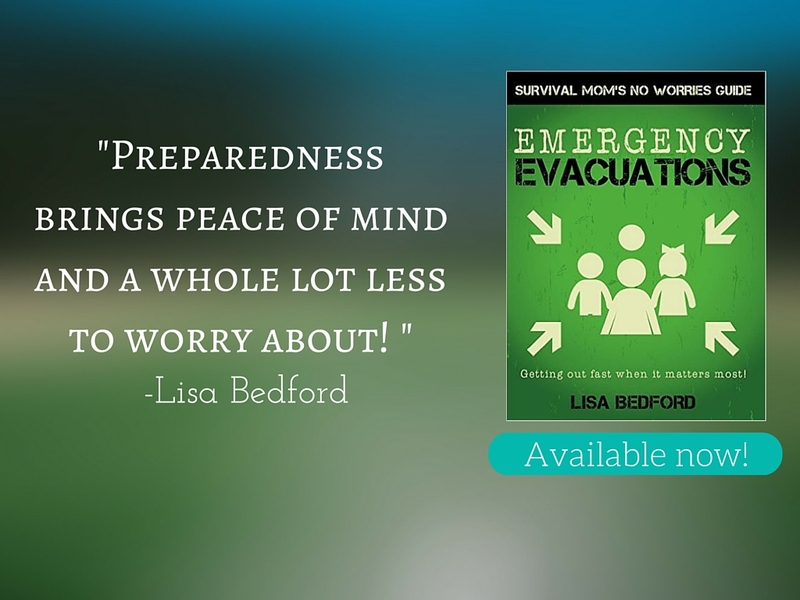 Children are very resilient, and it’s been my experience that when you make prepping a family affair, the kids don’t get as freaked out during emergency situations because they have an idea of what to expect and what they can do to help out. It’s when they’re not prepared and don’t know what will become of them that fear and hysteria take over. Excellent article, Beth. And excellent comment, SingleMom.